Belize NMS: Relatively moist and cool conditions prevail. 24-hour forecast: Variably cloudy with little or no rainfall, except over the south coast and sea today. A few showers will return tonight and affect the coast and sea. General Outlook: For Thursday and Thursday night is for a few showers to continue affecting mostly the coast and sea. Today N-NE 15-25 kts Rough 8-10 ft A FEW SHOWERS MOSTLY SOUTH. Tonight NE 10-20 kts Moderate-Rough 6-10 ft A FEW SHOWERS. *SMALL CRAFT CAUTION*. Outlook NE-E 5-15 kts Choppy-Moderate 4-7 ft A FEW SHOWERS. On Ambergris Caye this morning the weather seems to have changed from rain to sunny. The North wind is at 10 mph and the expected high is 76 f.
Personal weather observation - Shoes. Not sandals. The Cloud picture: The cold air is pushing down, hard from the NNE, there is some easterly Caribbean cloud moving over from the east, but mainly further south. There is very little trace of any high level cloud. Perhaps that is why the other satellite pictures are showing clear skies, it appears some of them only show high level cloud, not the low level that effects our weather. There is only the odd trace of rain way down near the Honduras coast. 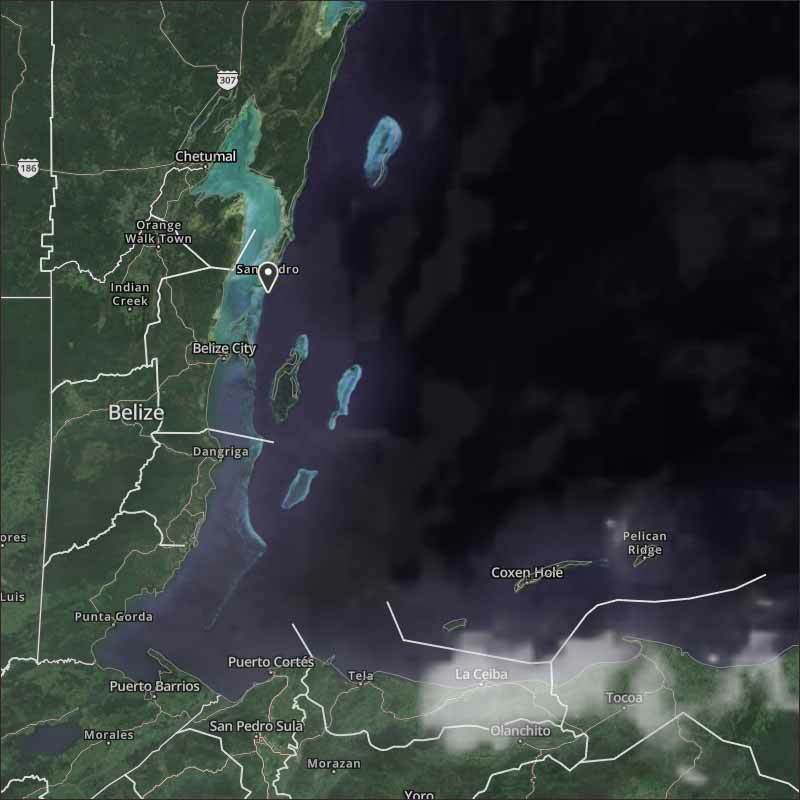 But much of Belize is still covered by a heavy blanket of cloud, which does not appear to be moving in any direction. There is a significant SW "Tiger" wind over Belmopan, and thin cloud or sunshine over much of northern Belize. JANUARY, 2018 STARTED OFF ON THE COOL SIDE, AS OVERNIGHT TO EARLY MORNING LAND BREEZE HAD BEEN PERSISTENT FOR SOME DAYS ALREADY. THESE COOLER LAND TEMPERATURES LIMITED CONVECTIVE ACTIVITY OVER THE MAINLAND, WHILE THE PREVAILING OFFSHORE WIND FLOW WAS A GENERALLY LIGHT NORTH-TO-NORTHEASTERLY ONE. 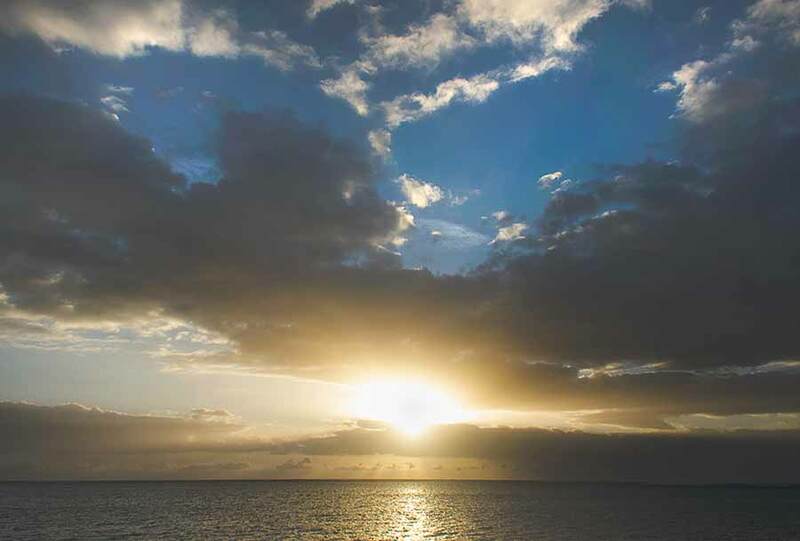 ADDITIONALLY, WITH THE WARMER SEA SURFACE TEMPERATURES AND COOL AIRFLOW OVER THE SEA, SHOWERY ACTIVITY AFFECTED CENTRAL AND SOUTHERN COASTAL WATERS DURING THE NIGHT AND MORNING, AND THEN THE MAINLAND IN THE AFTERNOON. 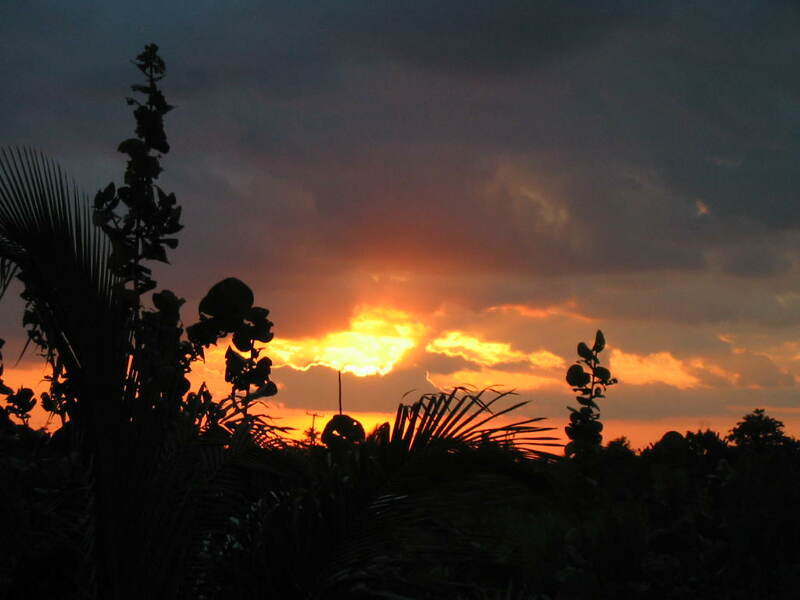 A TOTAL OF THREE COLD FRONTS WERE NOTED TO HAVE CROSSED BELIZE DURING THIS MONTH. BY NIGHT-TIME ON THE 1ST, WINDS BECAME GUSTY WITH THE APPROACH AND PASSING OF A COLD FRONT, SO THAT BY THE 2ND, AND CONTINUING ON THE 3RD, WINDS SHIFTED TO BLOW FROM THE NORTH-TO-NORTHWEST, BEHIND THE FRONT. A STRONG SURFACE HIGH BEHIND EXTENDED A RIDGE OVER THE AREA, SUPPORTING MODERATE AND OCCASIONALLY GUSTY WINDS.FOR THE NEXT FEW DAYS, WHILE THE MID-TO-UPPER LEVELS REMAINED RATHER DRY OVER BELIZE, AND THE AIRFLOW CONTINUED TO SUPPORT COOL TEMPERATURES ACROSS THE COUNTRY, SHOWER ACTIVITY WAS PREDOMINANTLY OVER THE SEA/OFFSHORE. ON THE 4TH, THE FLOW WAS NORTHERLY, VEERING LATER ON THE 5TH TO BECOME NORTH-TO-NORTHEASTERLY ONCE MORE. MODERATE WIND SPEEDS CONTINUED OVER THE AREA. THIS CONTINUED THROUGH THE 7TH, AND THE MID-TO-UPPER LEVELS BECAME EVEN DRIER OVER BELIZE. LATE ON THE 7TH THROUGH THE 8TH, WINDS VEERED FURTHER TO BECOME EAST-TO-NORTHEASTERLY, WITH DECREASING WIND SPEEDS. ON THE 8TH THROUGH THE EARLIER PART OF THE 9TH, THE INITIAL AIRFLOW SUPPORTED AN INFLOW OF LOW LEVEL MOISTURE OVER BELIZE, FROM OVER THE SEA, AND NORTHERN BELIZE WAS RELATIVELY ACTIVE WITH A FEW SHOWERS OCCURRING OVER THIS PERIOD. GENERALLY FAIR, COOL AND DRY WEATHER PREVAILED FROM LATER ON THE 9TH, WITH TEMPERATURES WARMING UP FOR A COUPLE OF DAYS THROUGH THE 11TH, AS A RIDGE OVER THE CARIBBEAN AND GULF OF MEXICO PROVIDED A LIGHT EAST-TO-SOUTHEASTERLY AIRFLOW OVER THE COUNTRY.THEN, THE 12TH WAS WIDELY OBSERVED FOR THICK FOG COVERAGE MAINLY OVER NORTHERN PARTS (COROZAL, ORANGE WALK, BELIZE DISTRICTS) OF THE COUNTRY, THAT LASTED THROUGH LATE MORNING. WINDS HAD BACKED TO BECOME NORTH-TO-NORTHWESTERLY AHEAD OF AN APPROACHING COLD FRONT, LATER BECOMING GUSTY WITH PREFRONTAL AND FRONTAL ACTIVITY. PREFRONTAL SHOWERS OCCURRED MAINLY OVER NORTHERN AND WESTERN AREAS OF THE COUNTRY.LATER, AS THE COLD FRONT CROSSED BELIZE OVERNIGHT, SHOWERS/RAIN AFFECTED MAINLY CENTRAL AND SOUTHERN PARTS. VARIABLY CLOUDY, WINDY AND COOL CONDITIONS, WITH LITTLE OR NO RAINFALL, PERSISTED BEHIND THIS COLD FRONT. FROM THE 15TH THROUGH TO THE 17TH, SIMILAR CONDITIONS PREVAILED, WITH ISOLATED SHOWERY ACTIVITY OVER COASTAL WATERS/SEA, INCREASING ON THE 18TH TO AFFECT MAINLY SOUTHERN AREAS, AS WINDS VEERED TO BECOME NORTH-TO-NORTHEASTERLY, REMAINING GUSTY THROUGH THE 19TH. AS MOISTURE RETROGRESSED FROM THE EAST ON THE 20TH, A FEW SHOWERS OCCURRED OVER THE MAINLAND, AND ON THE 21ST THE SURFACE FLOW BECAME GAINED A MORE EASTERLY COMPONENT, BECOMING DOMINANTLY EASTERLY ON THE 22ND. AHEAD OF A COLD FRONT OVER THE GULF OF MEXICO, A SHEARLINE BEGAN TO PRODUCE PREFRONTAL ACTIVITY OVER BELIZE. FEW SHOWERS AND ISOLATED THUNDERSTORMS OCCURRED ESPECIALLY OVER THE SOUTH AND COAST DURING THE NIGHT/EARLY MORNING ON THE 23RD. WINDS BECAME EAST-TO-NORTHEASTERLY ONCE MORE, AND DAYTIME ACTIVITY SPREAD TO MAINLY CENTRAL AND SOUTHERN AREAS OF THE COUNTRY; THIS DIURNAL PATTERN REPEATED ITSELF, INCREASING ON THE 25TH, TO ALSO INCLUDE LENGTHY PERIODS OF RAIN. AS THE SURFACE AIRFLOW BECAME MORE EASTERLY AND GUSTY, RAINFALL ACTIVITY STARTED TO ALSO AFFECT NORTHERN AREAS ON THE 26TH AND 27TH. MOISTURE ON THESE DAYS WAS SUPPORTED BY SHEARLINE/TROUGH THAT HAD RETROGRESSED OVER THE AREA. LATE ON THE 28TH, WINDS BACKED TO BECOME NORTH-TO-NORTHEASTERLY WITH THE PASSAGE OF A SHEARLINE THAT WAS AHEAD OF ANOTHER APPROACHING COLD FRONT. OVERNIGHT/EARLY MORNING COASTAL SHOWERS/RAIN WERE INFLUENCED BY THIS SHEARLINE. WINDS BECAME GUSTY ON THE 29TH, LASTING THROUGH EARLY ON THE 31ST. THE FINAL COLD FRONT FOR THE MONTH CROSSED THE COUNTRY ON THE 30TH. 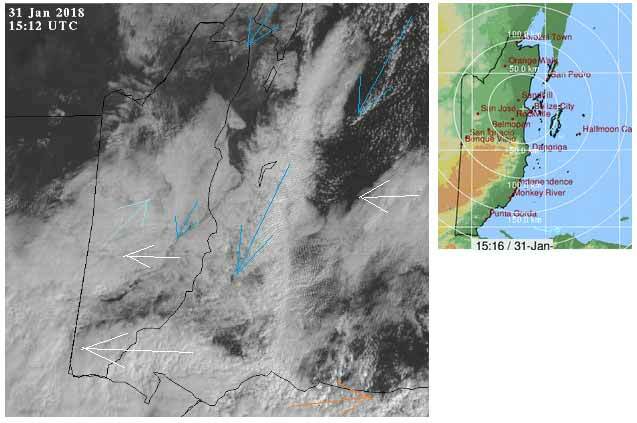 AS A RESULT, SURFACE AIRFLOW BECAME NORTHERLY AND STRONGER, STILL WITH HIGHER GUSTS, ON THE 30TH. SHOWERS/RAIN OCCURRED MOSTLY OVER THE SEA/COAST AND OVER THE SOUTH DURING THESE LAST COUPLE OF DAYS, AS THE WINDS VEERED TO BECOME NORTH-TO-NORTHEASTERLY WITH DECREASING SPEEDS ON THE 31ST. TEMPERATURE AND RAINFALL DATA ARE SHOWN IN THE GRAPHS ATTACHED.